In this Osprey Kestrel 28 review, I present an award winning pack which is perfect for any sort of day outdoor activity, as well as for lightweight overnight tours. It has many great features and innovative attachment points from outside, and you will be able to carry up to 30 pounds (13.6 kg) without any problem. 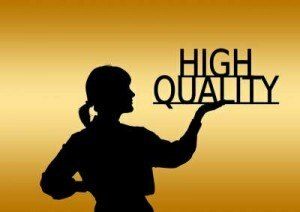 The best place regarding the price and shipping conditions is usually Amazon.com. 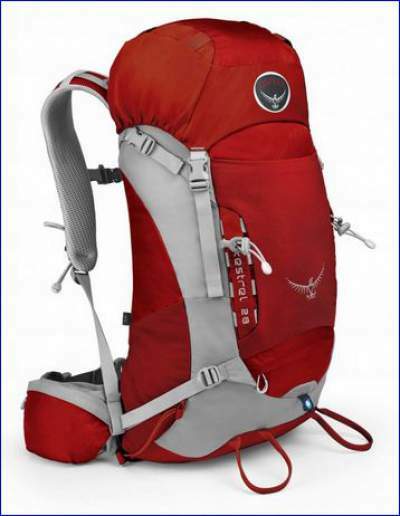 This is a backpack from a great Osprey series which includes packs of 48, 38, 32, and 28 liters. They also come in sub-sizes, small and medium (S, M), and medium and large (M, L). This implies a lot adjustability for any torso length. 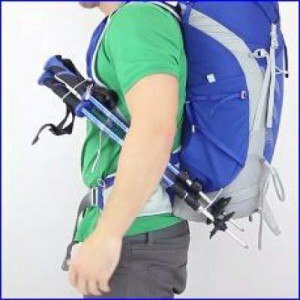 The back of Kestrel 28 pack with the harness. The S and M models go up to 19 inches, while M and L from 19 inches plus. Note that this also implies differences in volume, up to 2 liters, so S will be effectively a 26 liters (1587 cubic inches) pack. These are top-loaders except for the 32 liters pack (loaded from the front). They come in blue, red, gray, and green colors. Osprey Kestrel 28 has a large stretchy mesh pocket on the front, a very useful feature. Under this mesh pocket, you will find a zippered pocket which contains the rain cover, yet another great feature of this pack. I myself would never consider having a pack without it. I use a pack with an integrated rain cover and I know well how useful this is. There are two quite large ice-gear loops on the bottom, matched with additional loops higher up on the front to fix the ice axes. Daisy chains are also on both sides of the front, definitely useful to have. Prizes of Ketrel 28 pack. On both sides, you have mesh pockets, plus 2 compression straps on each side, one over the mesh pocket and the other much higher up. So you can attach quite big parts of equipment on both sides of this relatively small backpack. Notice the following: these side straps are cleverly designed and they can be reversed and attached to the straps from the other side of the pack. This will allow you to attach and fix really big stuff on the front of the pack, like a tent, sleeping bag and/or sleeping pad. Simply great. Stow on the go feature. An additional nice feature, seen on many Osprey models are stow on the go trekking pole loops, one on the side of the pack and another paired with it on the shoulder strap. They are used to temporarily unload your walking poles when you are on the go, without the need to stop and take the pack off. I love this feature particularly. You can see it in the picture here on the right. The suspension system is nicely done, the harness is adjustable very easily and can be moved up and down to adjust the body size. The shoulder straps are well padded and there are load lifters just like with other larger Osprey packs. The back is AirScape Osprey system, and reports of users show that it works great, keeping your back dry. 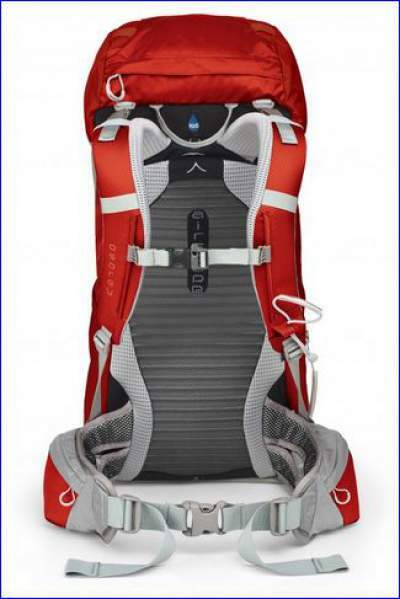 Osprey Kestrel 28 pack is hydration compatible. Behind the harness system, you will see an external sleeve for the water bladder, so it is not inside the main compartment of the pack. The water bladder can be attached to a loop provided there, and the tubes can be set along the shoulder harness in the usual way. The height-adjustable sternum strap is with a whistle. On both sides of the harness belt, you have a zippered pocket. The top lid contains a big zippered pocket with access from outside, and yet another mesh pocket under it, with access to it when you open the lid. The top of the pack has a collar which you can lift and add a few liters of extra volume, which comes good always. The straps are long enough to accommodate such an extension. Weight : 1.22 kg (M, L sizes). Dimensions (L x W x D): 67 x 30 x 28 cm. AirScape™ back panel with foam ridges for ventilation. Sternum strap with emergency whistle. Twin zippered hip belt pockets. Integrated and detachable rain cover. Top pocket with dual zippered compartments. Under lid zipped mesh pocket. Stretch pocket on the front. 2 compression straps on each side. I give Kestrel 28 the same rank as to the Deuter Trans Alpine 30 because of the lower price. If this current price does not hold then my preference would be for the Deuter pack. The reason for this becomes obvious if you see the features of the Trans Alpine series. I do believe it has a more reliable and more advanced suspension system. For updates about price please check the links. If you find this text useful, please share it with others. If you need a bigger pack from the same series, please check this Osprey Kestrel 32. Thank you for reading, and do leave me some comment in the box below. Hi! This backpack looks awesome, and it seems it will be my choice. I´m looking for a backpack because at the end of the year I´ll be at the Rocky Mountains for about 2 months taking a course and for sure one of the things I will love to do is to go hiking everyday if I can. Hi Kevin, this pack is great choice for anybody. It has all you need, perfect size for day hiking. I included it in my list of 17 best day backpacks. I do like the idea behind this website. I myself, am going on an important trip to the wilderness of montana. So I’ll keep the ideas behind this site in mind. I kinda wish I had bought a pack like this instead of the one I currently have. Fine post. Hi Graham, thank you for the kind words about my site. As for the Osprey Kestrel 28 backpack, your feeling about it are completely justified, great pack in every sense. 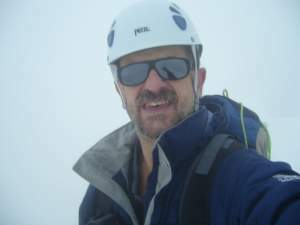 i am living is South Africa and in the Western Cape we have a Mountain called “Table Mountain. Very nice place and yes..its time for me to do the mountain climbing,hiking adventure…thing..
its always nice to land on sites of people talking about their outdoors experiences and all the weird and wonderful gear and gadgets there are to use to make the adventure more comfortable.,. its nice to go hiking up a mountain but i think its nicer if i could share the moment with someone …so i am going to ask a lady friend of mine to go along..
and this back pack looks like the ideal gift to get her started..
Hi Jaco, thank you for visiting my site. I have not been in South Africa but in fact I know about Table Mountain. Have a nice day yourself, all the best.